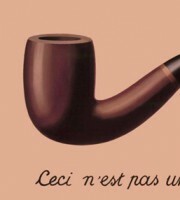 Michel Foucault, wrestling with the problem of the crisis of space, and, subsequently, the idea of the real and imaginary in spatial terms, came up with the concept of heterotopia to describe a place that is real and unreal at the same time[i] – as opposed to the Utopia which is imaginary only and does not exist. In his essay Foucault lists the type of places that fit this dual-quality criterion, perhaps his most useful analogy being the mirror. You look in the mirror and see yourself, but you know that you are not really in the mirror. Nevertheless, the mirror exists. Your presence in the mirror is real and unreal at the same time. 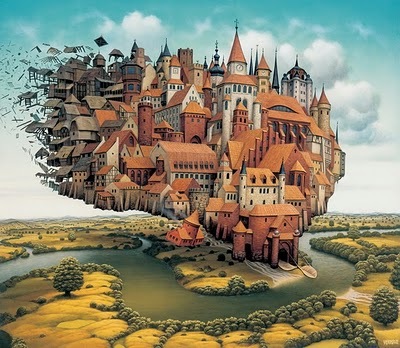 The idea of the Heterotopia is an interesting one, that has generated more interest by our own Heterotopic existences in the virtual worlds we can inhabit on the Internet. However, we feel Foucault in a sense could not see the forest for the trees, for, from the point of view of the Human-whole, the very fabric of our civilisation itself is heterotopic and, consequently, so is our human condition. We live a dual reality existence that embraces reality (that which can be found in a space) and the imaginary (that which exists in no space) at the same time. In a sense then, the term Heterotopia opens doors to perceiving the concept of Idealism from a new angle. 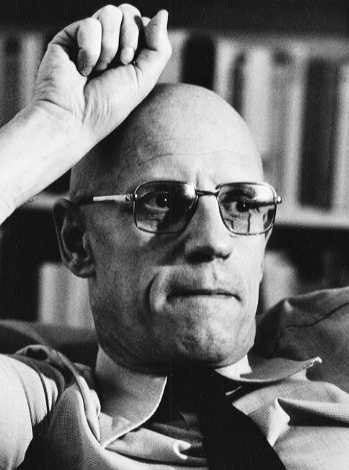 For this reason, we would like to keep Foucault’s term, but amplify its range. Heterotopic realities can be true abstractions of what they are intended to be, or they can be false ones. A mirror image, for example, can be true if it is well-made or misleading if the image it reflects is distorted. Likewise, the images we create of ourselves in a social forum or chat room may be attempts to reflect our true personality, or they may be ways of presenting ourselves in another form all together. The ones that are constructed in a falsifying way, conceal the real purpose or nature of their original conception. We call these constructs masking-heterotopias. Another example of the masking-heterotopia is civilisation. Civilisation is a thing edified from certain human fantasies in order to concentrate power and wealth in the hands of the few within a form that seems admissible. It can only be admissible of course if it hides its desires and designs for wealth. At the same time, the demos, the people, or the civilian population, is also a masking-heterotopic construct. The demos is an ideated form of humanity that has emerged out of the desires of civilisation itself. The Wealth (yes, with a capital W) that runs civilisation began with its selfish-needs’ fantasy of what the human race could be used for, and turned them into a masking-heterotopic reality that the exploited themselves are largely unconscious of. 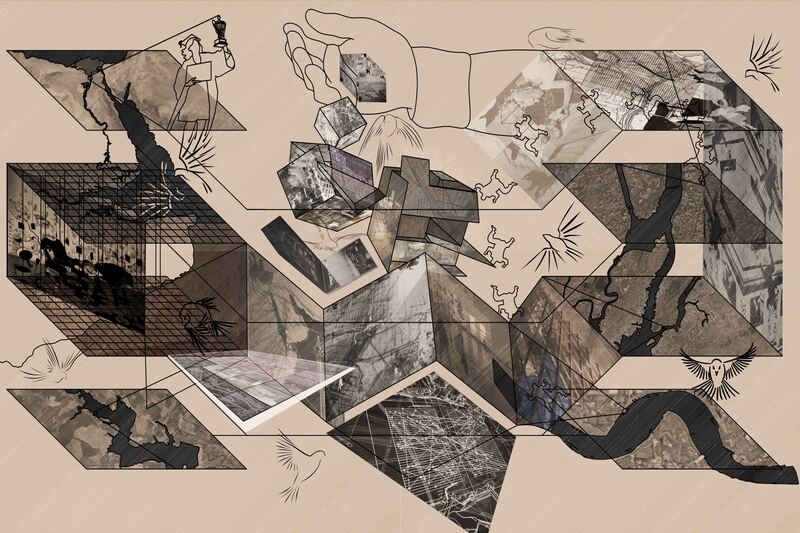 In the masking-heterotopia, the admissible, imaginary form, once created, solidifies and becomes more and more real with time, but, in its essence, it is always that which was created as a mask over the real nature of the thing conceived. To think of the people as something to be exploited for one’s own gain and for the maintenance of its own falsely heterotopic mega-construction, is a depressing pessimism. Nevertheless, the fact that human reality is an imaginative construct also bears very positive seeds. If a civilisation serving Wealth can be imagined and constructed from that idea, then so can a future, authentically heterotopic civilisation serving the whole of humanity be construed in abstraction and made real in space. The greater our technological capacity grows the deeper should be our faith in our ability to create any kind of reality we wish. Nevertheless, such a belief seems to frighten us more than inspire us. We not only have dreams to build; we also have horrible recurring nightmares. The idea of crashing once more into a Quixotic impossibility, a new Third Reich or a new Communist hell of terror and bureaucracy, paralyses us. The idea of the collective dreams, our collective ego-projections of grandeur, terrify us. To create our own authentic Heterotopia, we need to overcome this fear. Overcome the fear and then imagine the future. In his essay Foucault lists the type of places that fit this dual-quality criterion, perhaps his useful analogy being the mirror. You look in the mirror and see yourself, but you know that you are not really in the mirror. Nevertheless, the mirror exists. Your presence in the mirror is real and unreal at the same time.